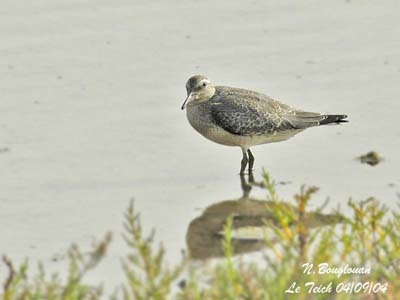 Small to medium-sized waders, they frequent various wetland habitats. Narrow heads, small eyes and long, slim necks are related to their feeding behaviour by tactile methods and probing. Bills are slender and can be very long, but several species have short bills too. They walk steadily and show upright stance, and some of them often run, especially the short-legged species. The long, narrow, pointed wings allow these birds rapid and direct flight action. 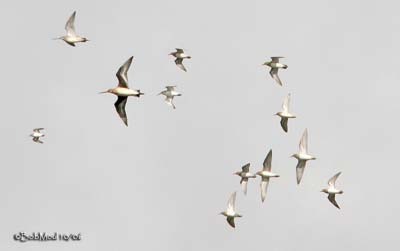 When flying in flocks, they turn in unison with speed and precision. Most of Scolopacidae species are gregarious outside breeding season, while the others form small flocks. They usually nest in the low vegetation, but sometimes, some of them can use abandoned nests of other birds in trees. Sexes are often similar. 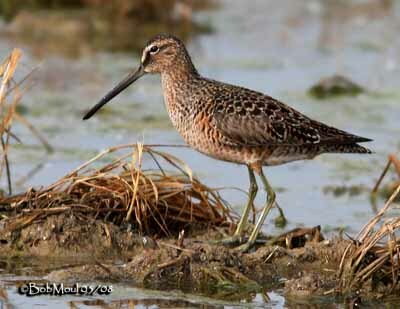 Snipes, godwits, dowitchers and curlews have long bills. 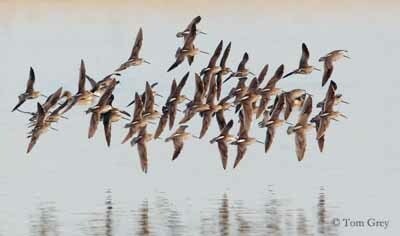 The latter has long, down-curved bill, whereas godwits have it sometimes slightly up-curved. 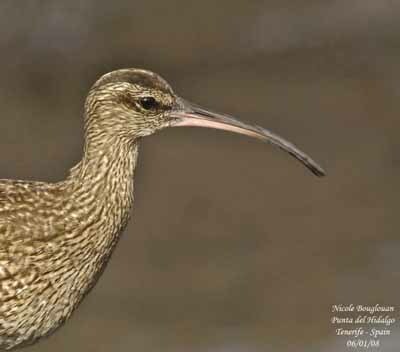 These species usually have brown upperparts with brown or buffy stripes in snipes, combination of grey, brown and buff in godwits often giving scaled effect, and pale-edged upperparts feathers in curlews. 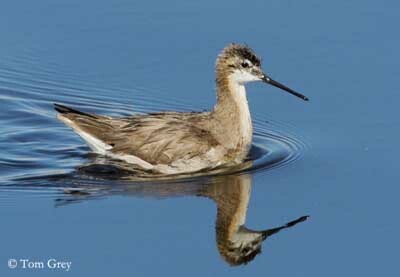 Underparts are paler, with dark streaks or bars on the breast, and whitish belly and undertail coverts, except in dowitchers which have more reddish breast and upper belly than in other species. 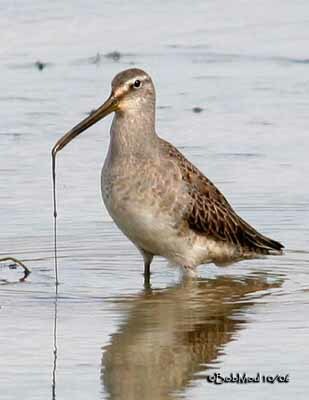 Snipes are mostly short-legged, whereas godwits and curlews have longer. Woodcocks have more horizontal stance and shorter legs than snipes. The long bill is strong at base, straight and conical. These species feed by probing in the mud, feeding more by touching than visual fashion. The long bill has tactile receptors at tip. They also use foot-trembling to disturb the preys, and may peck at ground surface. 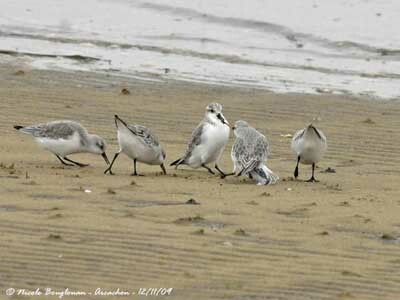 But they feed mainly in shallow water and mudflats than in land. Each species feeds in different depths, according to their legs. Several species are able to swim. 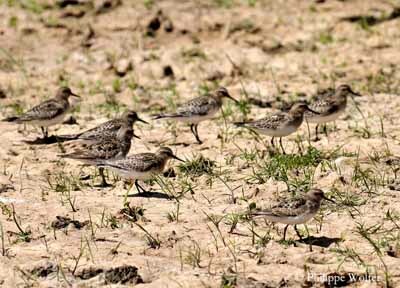 The sandpiper group includes all the other species, except phalaropes, snipes and their allies. They are small to large birds with medium to very long legs, and short to very long bills of different forms. They show dark brown and/or grey upperparts and paler underparts. During the breeding season, some species have brighter colours. They feed by rapid shallow probing in mud, and also by pecking and gleaning. 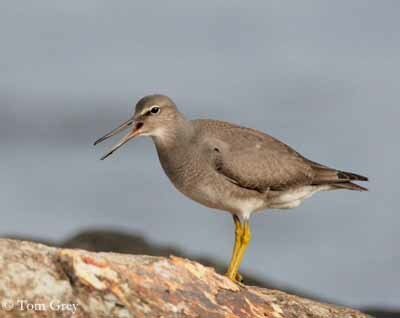 They are often seen in shallow water and mudflats, or pecking among vegetation at water’s edge. The third group includes the pelagic-living phalaropes, ruffs and a few sandpipers. 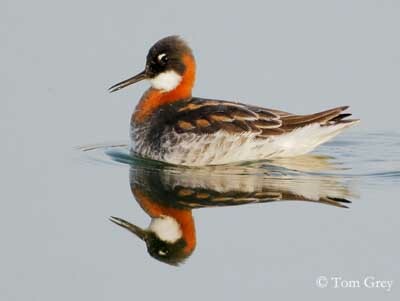 Phalaropes are elegant birds with small, rounded body similar in general coloration to sandpipers. They have medium-sized, narrow bills, rather short legs and feet with lobed toes and small webs. Male end female show sexual dimorphism, but here, female has brighter plumage than male in breeding season. Ruffs are larger and male and female are very different. 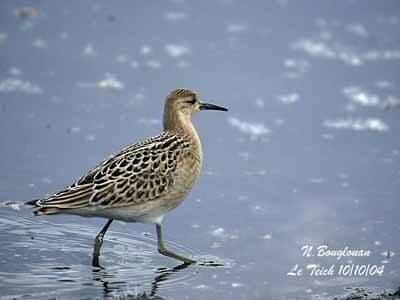 During breeding season, males show beautiful plumage with ruff, giving the bird its name. 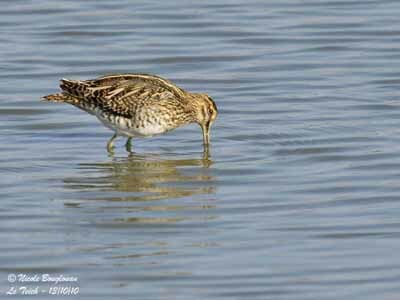 Waders have adapted bills and legs, according to their feeding behaviour, but we can find four feeding styles in this family. First, the birds living in dry inland habitats or water-lines perform pecking with occasional probing. 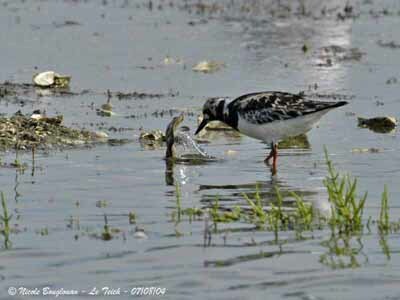 That it the feeding behaviour of Bartramia, Actitis, some Tringa, Arenaria and some other genera. 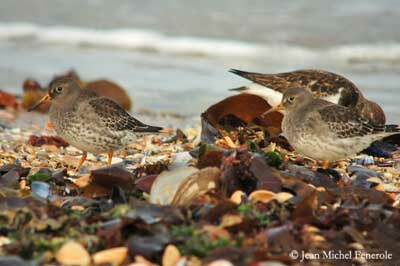 Snipes, woodcocks and most of sandpipers probe in soft soils and intertidal flats with their long bill. The third style is running while chasing prey with the bill under water, as the Tringa species do. 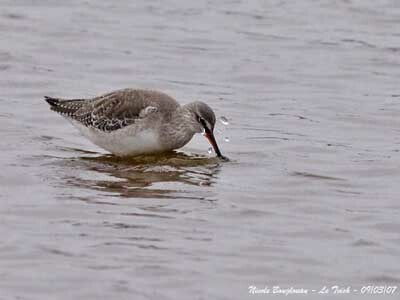 And finally, the phalaropes and some Calidris species perform rapid pecking of small preys in water layers. 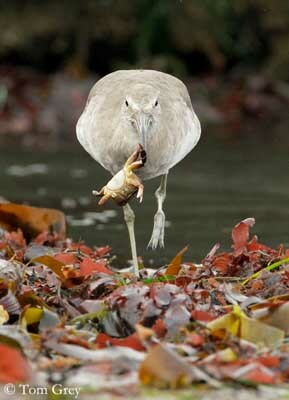 The prey is caught with the bill tip and transported to the mouth with the tongue, or with a small quantity of water which is squeezed out when the prey reaches the mouth. 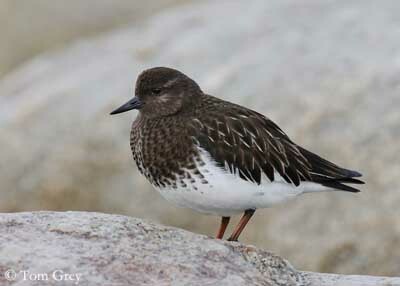 Other birds such as the turnstones are able to probe under stones, moving them by over-turning with help of their strong bill. Scolopacidae feed mainly on aquatic preys such as crustaceans, small fish, worms, molluscs, especially bivalves and small invertebrates. They also forage on the ground and take insects, larvae and adults, and earthworms. When the soils are frozen or covered with snow, they can eat some plant matter such as seeds, buds and shoots, and some berries. 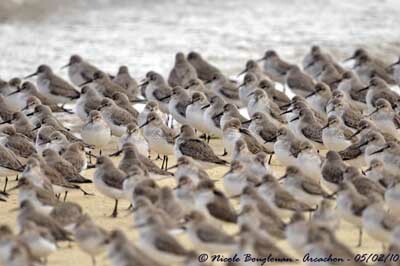 Waders move primarily according to food resources and weather conditions. Most of these birds breed at moderate to high latitudes in the Northern Hemisphere, and show extensive southwards movements in autumn. 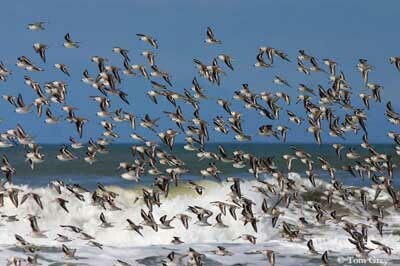 They usually are long-distance migrants, travelling as in a few very long flights or in longer series of short flights. 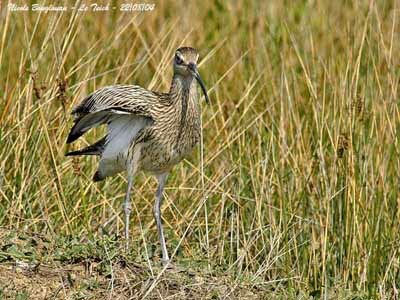 They have very little time for breeding during the short summer season before to start their migration to southern areas. Numerous birds die during these long trips. 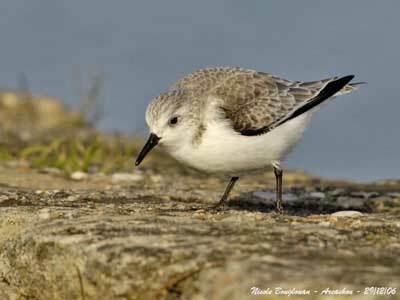 These long-distance migrants have long and pointed wings, except the woodcocks, the snipes and the Actitis sandpiper species which have rather rounded wings. 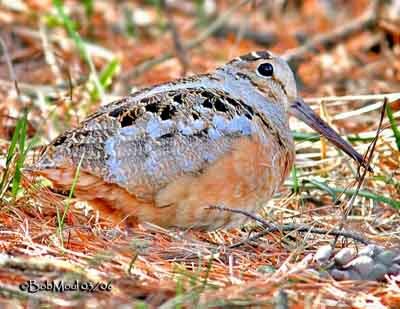 The woodcocks lack the speed of the shorebirds and are more adapted to the flights among the tree branches. The Common Sandpiper (Actitis hypoleucos) and the Spotted Sandpiper (Actitis macularia) have rounded wings and perform buzzy flight technique with shallow and spasmodic wing-beats, giving them rather low flight speed. The Scolopacidae have large and heavy breast muscles, compensated by the lightness of the bones. This gear allows them to fly long-distances. They live in various habitats, but they primarily need wet, moist or watery substrates making easier their feeding behaviour by probing with their long bills. Their habitats include grassland, scrubland, taiga and tundra, mudflats and salinas, providing them safe places for roosting and resting and water for bathing and preening. 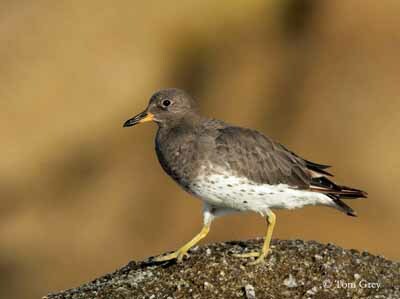 Some of them such as the Rock Sandpipers (Calidris ptilocnemis), the Purple Sandpipers (Calidris maritima) and Surfbirds (Aphriza virgata), select harder substrates and live on rocky shores where they find important food sources. A few species breed in temperate areas. There are the woodcocks found on forested islands, some snipes and the Tuamotu Sandpiper (Aechmorhynchus parvirostris). Tropical species are resident in their restricted ranges. All the other members of the family Scolopacidae breed farther north than other birds. They are found in boreal, subarctic and arctic areas. These species migrate southwards after the breeding season. Most of them breed in inland habitats and mainly in freshwater wetlands. 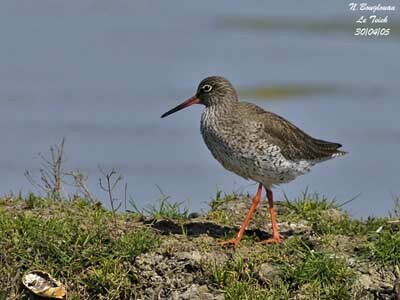 Only three species, the Common Redshank (Tringa totanus), the Willet (Tringa semipalmata) and the Nordmann’s Greenshank (Tringa guttifer) breed in coastal salt-marshes. The winter areas often include tropical wetland, river deltas, floodplains depending on rainfall, ricefields, lake shores and coastal lagoons. The Scolopacidae species often feed in flocks outside the breeding season. 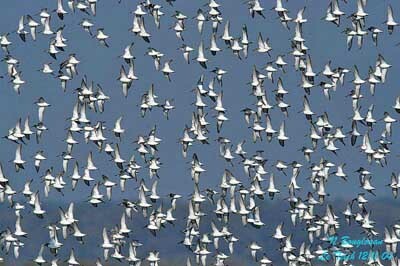 These flocks may contain from tens, hundreds to thousands of birds according to the species and the season. Flocks provide defense against predators, but also better information about the good feeding areas and easier capture of the fast-moving preys. The waders often fly in flocks, flying together at high speed with excellent co-ordination, providing us wonderful spectacle when the “wave” move in the air with such precision. 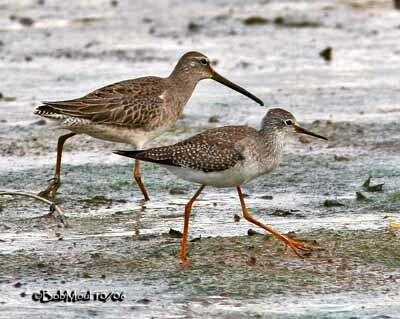 Waders may have melodious songs, especially those uttered during the flight displays. 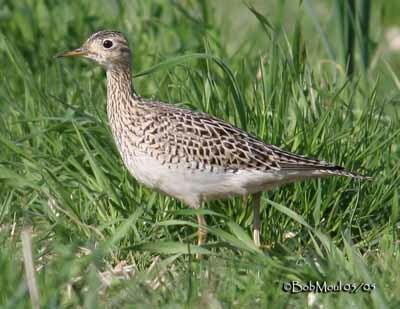 The Upland Sandpiper (Bartramia longicauda) is a good example when flying while giving its fluting song. The Red Knot (Calidris canutus) also gives its ringing song while flying over the tundra. 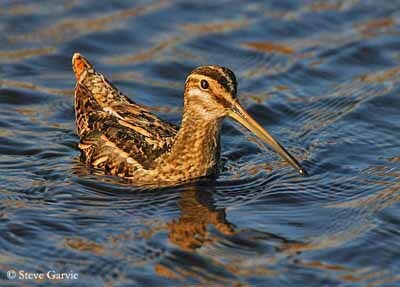 But usually, waders utter loud calls, chuckles, screams and yodels, and are often very noisy. They give soft contact and loud alarm calls between mates, and between parents and chicks. During interactions on the ground, the birds give frightening rattles and harsh notes. 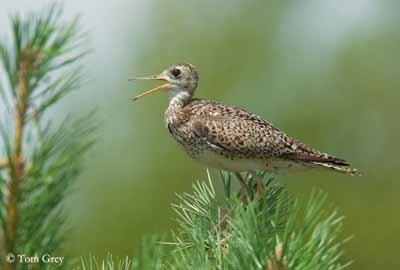 However, woodcocks and snipes produce several non-vocal noises, especially while flying. These sounds are made by the quivering rectrices during the rapid aerial descents. 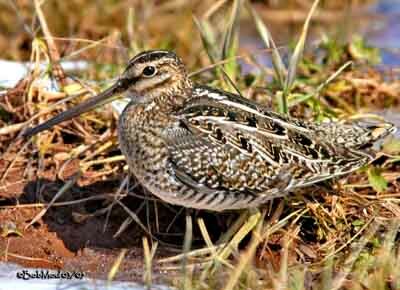 Some species such as the Giant Snipe (Gallinago undulata) accompany these noises by some vocal sounds. 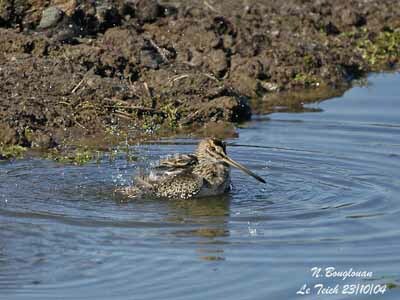 The Pintail Snipe (Gallinago stenura) produces a combination of fizzing sounds of feathers and several vocal sounds. The woodcocks give some vocal beeps and purrs while flying over their territories. 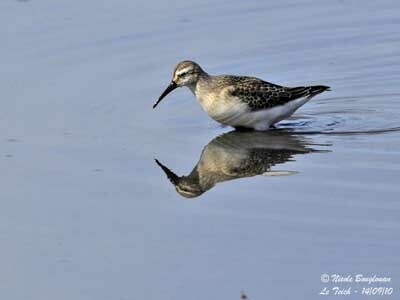 Waders usually show intense calling before to start a long-distance migration flight. This is a combination of songs given during the flight displays, and contact calls. The noise drops after the flight formation, but several species give contact calls during the entire migration. The breeding behaviour of waders includes monogamy and polyandry, according to the species. Most of species are monogamous, but there is great flexibility and sometimes, females may mate with different males. 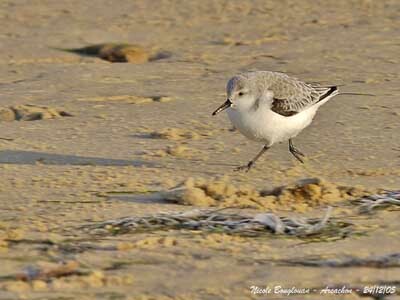 This is the case of the Sanderling (Calidris alba). 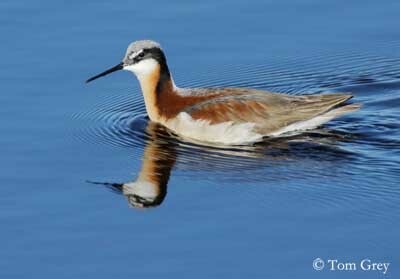 In phalaropes, the roles are reversed with female having brighter plumage than male, defending the territory and displaying. 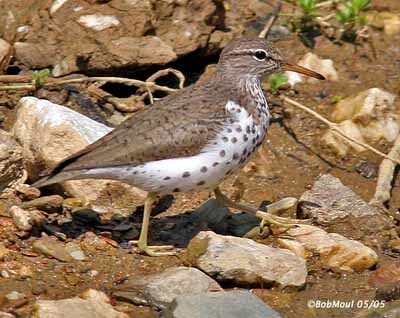 They are polyandrous as the Spotted Sandpiper (Actitis macularia) and some others. 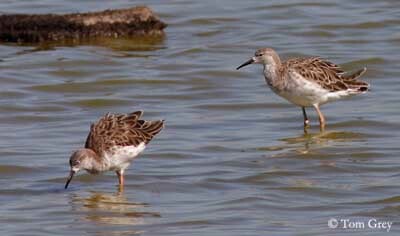 The males Ruff (Philomachus pugnax) display at leks with their amazing breeding plumage and their conspicuous ruff. They perform different movements and postures, jumping, walking, raising the wings and hovering together. The females visit the leks and after the copulation, they incubate and care the chicks alone. 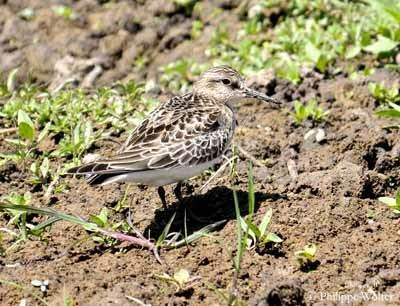 Other species such as the Great Snipe and the Buff-breasted Sandpiper (Tryngites subruficollis) also display at leks. 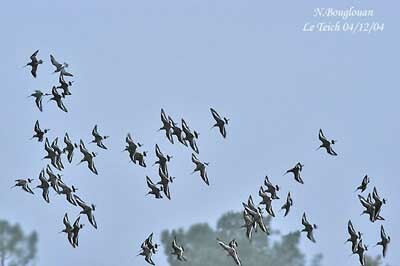 The latter flashes its white underwings in front of the female arriving at the lek. It also flutters, stretches and turns of open wings. 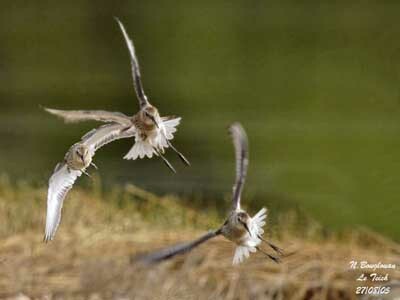 The aerial courtship varies from butterfly-flights over the female as the Baird’s Sandpiper (Calidris bairdii) does, to the wild flight chases performed by the Curlew Sandpiper (Calidris ferruginea), with a single female pursued by several males. 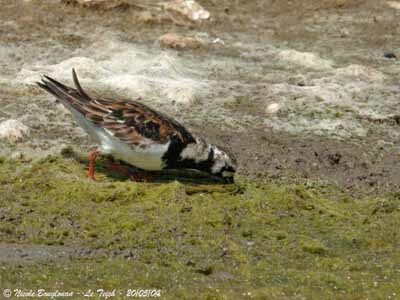 Copulation occurs on the ground, and waders may mate several times a day during several days in some species, and only once or twice in others. 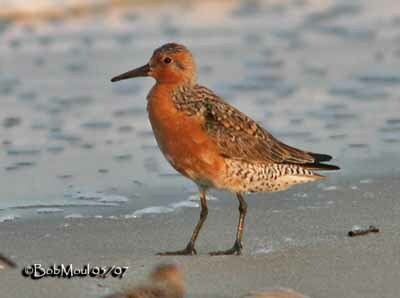 Shorebirds usually nest on the ground, in shallow depression or scrape, lined or not with soft vegetation. A few species may build a nest in thick plants or in tree. The nest-site is variable according to the species. 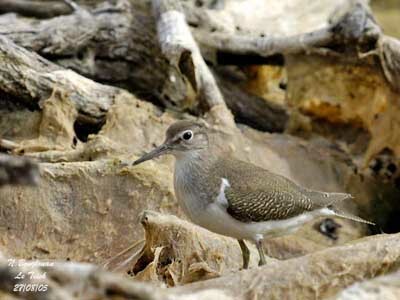 They breed in wet marshy grounds, dry uplands and bare stony tundra, rock slides, gravel bars in mountain river bed above the tree-line, among vegetation near fresh water, in forest on soft ground at base of tree or shrub, and some sandpipers may use old thrush nest in tree. The pear-shaped eggs are cryptic in colour, and are well camouflaged on the ground. Females usually lay four eggs per clutch. The incubation starts when the clutch is complete. In monogamous system, both parents share the incubation which duration varies with the species. The single incubators leave the nest to feed, usually when the temperatures are highest, in the middle of the day. The chicks hatch within a day and the shell is carried away by adults. The chicks are highly precocial and can walk and pick up food items within a few hours of hatching. They regularly return to the nest after long period foraging in cold weather conditions. They are often brooded by their mother during the first days. When the chicks are mature enough, the different broods come together in crèches. When fledged, the young are left alone by their attendants. Adults start to migrate while the young have to reach sufficient weight to perform the trip. Less than of half of the fledglings survive the first year. Several waders remain on the nest even if intruders approach, waiting for the final second to “explode” in the face of the intruder. Some species disturbed by predators perform distraction display, jumping from the nest and zig-zag away with fluffed plumage and calling. Others perform the “broken wing” display. The largest birds pursue and mob the predators in the air. Waders are threatened by changes in the habitat, drainage of wetlands, disturbances on breeding areas, collect of eggs and adults for consumption, pollution of beaches, oceans and waters, hunting pressure on wintering grounds, hard weather conditions for young, predation by skuas, crows, birds of prey, foxes and humans. Threats are numerous and important. Declines occur in several species, some others increase, due to the creation of protected areas and conservation of wetlands. We only hope to see them every year crossing the blue sky during their long-distance flight, and enjoy they beauty and elegance when fortunately, we can observe them.